This post, authored by Susanna Sharpe, first appeared on the Teresa Lozano Long Institute of Latin American Studies (LLILAS) website. 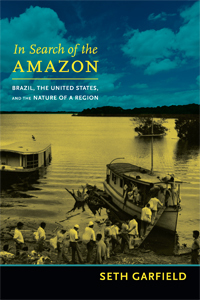 History Professor Seth Garfiel received the prestigious Bolton-Johnson Prize Honorable Mention Award for his book In Search of the Amazon: Brazil, the United States, and the Nature of a Region (Duke, 2013). The award was announced earlier this month at the annual conference of the American Historical Association in New York City. 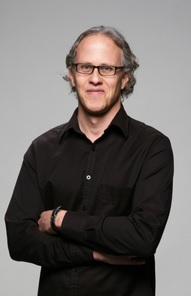 According to the website of the Conference on Latin American History, the Bolton-Johnson Prize is given to the best book in English on Latin American history published in the previous year, with honorable mention given to “an additional distinguished work deemed worthy” by the prize committee. Garfield is director of the Institute for Historical Studies in the Department of History, and the LLILAS undergraduate faculty adviser. This semester, he will teach the graduate seminar Postcolonial Brazil.